skills gained from the level 1 crystal workshop. This weekend provides an excellent practical training in the many ways of interacting with crystals, minerals and gemstones for the benefit of yourself, others and the environment. These skills will allow you to continue your own journey of exploration and learning long after this weekend is over. Training is practical, experiential and does not require acceptance of any particular belief system. While we may discuss ideas, theories and background to crystal healing and energy work, the emphasis is on practical, provable methods and techniques. This weekend forms the necessary second to continue to training to the third level of understanding crystals , if you wish. 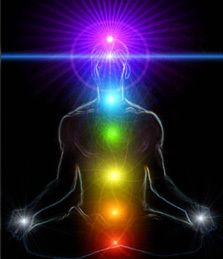 • Averred chakras balancing, energy systems, subtle bodies. • Gem essences: what they are, how to prepare remedies, choosing and using them. • How use wands for healing through meridian line of the body. This course involves both practical work and theoretical knowledge and uses accelerated learning techniques in relaxed states to assist your assimilation of the material. This course demands a willingness and commitment to personal healing, self-questioning and reflection, as crystal energy work promotes your own healing and balancing and may bring up emotional or physical health issues you need to resolve. A willingness to relax, enjoy yourself and experiment, with an open mind. Wear comfortable clothes and bring pen and paper for your personal notes. (You will also receive course notes on the subjects covered). Please also bring a packed lunch :) You will also need to have completed level one of the Crystal workshops. took a 2-year Diploma in Crystal & Gem Therapy, qualifying in JUNE 2007. John has taught Crystal & Gem therapy practitioner training since 2008, and is also a qualified Reiki Master Teacher healer. With 2 years on committee of the UK Reiki Federation.